Allen's remembered for his FREE BIRD solo but his rhythm guitar parts were always real interesting to me. He had a style all his own. Allen was a GREAT rhythm player. He had STYLE. Collins was one of those people that could eat his weight and never gain a pound. Us fat people don't care much for that. Allen was a great rhythm guitar player...highly original. He'll always be known for his lead on FREEBIRD, but this punchy, staccato rhythms were very cool. One day, when I skipped rehearsals, Allen took my WORKIN FOR MCA riff and turned it around a little bit - turned it into ON THE HUNT. I was flattered. Allen was a light-hearted guy, always joking around. He was the only one I ever saw who could jump onto the hood of a car from a standing position on the street! He'd just bend his knees a LITTLE and !WHAM! ... he'd be standing on the car's hood. It was amazing to see him when I visited him on the road during the Rossington-Collins tour. His attitude was so changed - understandably, of course, having lost some close friends in that plane crash. He wasn't so cheerful anymore, but quite melancholy. Then later on he lost his wife and then came the car crash that put him in the wheelchair. Man...I don't even want to write about this anymore! Allen was always real good to me. Q - You've said he was the smoothest rhythm guitarist you've played with. I'm just curious, are there many guitarists that can go from rhythm to playing a hard hitting fast paced Freebird solo? I don't think I EVER said Allen was 'smooth'. His rhythm parts were percussive, jerky and animated...NOT smooth. VERY INTERESTING guitar parts. The intro to Double Trouble" is a PERFECT EXAMPLE. Not smooth...but animated. 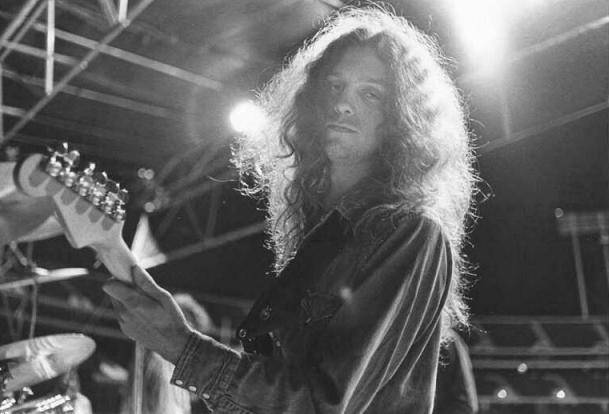 Allen Collins LOVED Jerry Reed's rhythm playing! I don't think I've ever said that before. Allen loved it. And there are some of his parts (Dub Trub and Country Boy come to mind) that are EXTREMELY REED-INSPIRED. Amos Moses was one of Allen's favorite songs. Allen Collins was the most upbeat one in the band (with Bob Burns a CLOSE 2nd). I think my relationship with all the band members was on a very superficial level. The only meaningful conversations I ever had were with Ronnie. I didn't know the others that well. I've heard from others who knew Allen that his personality took a left turn after the plane crash and an even more severe turn after his wife's death. Understandable, for sure. I can only testify to what he was like from Oct. '72 to June '75. I can't recall him EVER being upset about ANYthing. Seeing the band play just ate him up inside. He was welcome to come out any time he wanted. Traveling for him was not exactly convenient. Some contend we turned our backs on Allen. I can't speak for everybody but I'll just say that I always made time for him. Most of the times I saw him, he was totally incoherent. It wasn't easy. Q - I was wondering if you've ever picked up Allen's Firebirds or Explorer? I played Allen's Explorer once at the Jacob's Ave. studio in Jax. Larkin let me play it. But it was about six months after his car crash and no one had touched it that whole time. And with the heat and humidity down there those strings were all rusty and disgusting. So it didn't feel too good at the time. I actually had to pry it from the stand, cause it was melted right to the rubber. I usually always pick up and play everybody's guitars! .... just to make sure I approve! Allen's Firebird had really LOW action and I believe he may have used a standard .009 set. Very light. Allen didn't acquire his Explorer til after I departed in '75. But I did play it one time, like you, at Jacobs Ave. I had to laugh at your comment about it being MELTED to the guitar stand! That Explorer has the FATTEST neck I've ever played on any guitar. I can't imagine Allen really LIKED that guitar (compared to the Firebird), except it was such a RARE guitar and it LOOKED GOOD ON HIM. Allen also had a black Strat with an old Esquire neck on it. A fine guitar. Q - Just how involved was Allen when the Ed, just how involved was Allen when the Tribute Band was put together? Did he stay around past the Tribute Tour? Did he have any idea about the 91 album? Allen showed up at rehearsal a half dozen times...offered some suggestions that were helpful. On subsequent tours, he may have showed up once or twice. I don't know what you mean about the 91 album. Allen died in Jan. '90 and he didn't have ideas for songs that I was aware of.